mikeghouse April 25, 2009 August 18, 2016 1 Comment on The Prophet may ask, What Muslim? 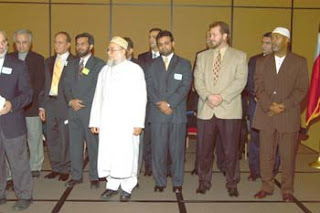 Unity Day 2005 – Muslims from every tradition came together on this day and the duwa (prayer-blessing) was led by the Sunni Imam, followed by Shia and Bohra Imams in the subsequent years, Insha Allah we will get every spiritual leader from within our traditions to lead each coming year. 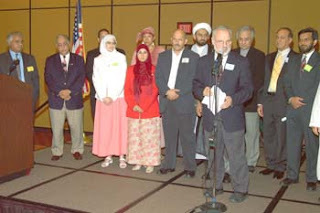 Unity Day USA is an initiative of the World Muslim Congress and the Foundation for Pluralism, we will be celebrating that day for the 5th year on Sunday, September 6, 2009 – it is changing the paradigm of 9/11 into a positive one; where every American comes together to rededicate his/her pledge for one nation under God with liberty and Justice for all. We need to start planning to meet as soon as we can, and plan on having the “Muslims together” gathering to be held on first Sunday of Ramadan and conclude it over Iftaar. You can imagine the good things we can do. Let’s start with a group of about 30 people in each community and build from there. The group’s formation is not about the historical or theological aspects of religion, it would simply be about the civic aspect, the rights and duties of individuals to each other for our own good and the good of others around us. We have to sow the seeds that benefit the future generation and perhaps our own when we retire. Together we can create a lot of good. I will ask the Muslim Council of Mosques in Dallas to take this project, I hope they can make that time. Otherwise, any one of you can come forward and take this initiative forward. It is not any one’s responsibility, it is yours and mine, if we feel it. Praise the Lord, Alhamdu Lillah. It hurts me to read the comments from Larry Basheer; I have heard similar comments from Sri Lankan, Filipino, Bangladeshi and Muslims from around. 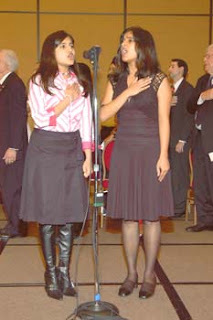 Who the hell are we to say to others, that they are less Muslim than us? Who grades us? What kind of Arrogance is that? We have to shed this. Shame on any Muslim who thinks other Muslims are less than him or her. In Allah’s presence, we are all equal except when we are drenched in Taqwa; Piety – those who are; never think they are superior to others any way. Did we not get the message of the Prophet that no one is superior to the other…. except in piety. There is a whole verse about it, do we get that? Let’s not encourage any one to say those words, stop them in their tracts and let them not perpetuate it.